Have you taken your vehicle for its routine check-up lately? Ontario Motor Sales is pleased to offer our Fuel Induction Analysis service—basically a car’s heart doctor (or CAR-diologist)—now at the low rate of $19.95! Not sure if your vehicle’s engine is dirty? Allow us to analyze your engine using our state-of-the-art Fuel Induction Analyzer. 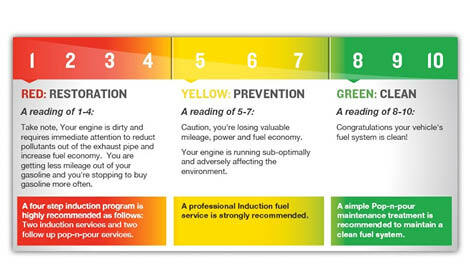 After we’ve hooked your vehicle up to the analyzer, it’ll perform the test and give your engine a colour score of green (clean), yellow (decent), or red (dirty), and will recommend certain services based on your unique vehicle’s engine needs. But our Fuel Induction Analyzer doesn’t use a stethoscope to listen in on your engine’s innards; instead, it measures whether the turbulence in your engine is even or not. Similar to plaque that can build in human arteries, carbon can collect in your engine and restrict turbulence—effectively slowing your vehicle down. If your vehicle’s turbulence is restricted, you might notice symptoms like lowered fuel economy, hesitation, or even black smoke billowing from your muffler. Our prescription? Let the Fuel Induction Analyzer give your vehicle a read to see what the cause might be! 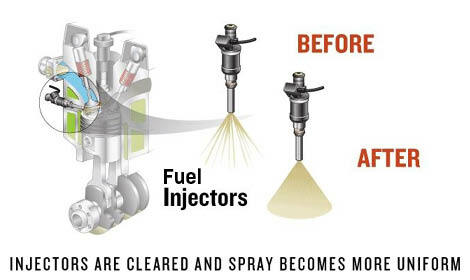 With a sense of your engine’s cleanliness, our technicians will be able to recommend the service that is best for you. The program, in conjunction with the technician, provides a recommendation to the customer based on the colour score (8-10 meaning “clean,” 5-7 meaning “decent,” and 1-4 meaning “dirty”). Even if your vehicle scores green, we recommend having it checked approximately every 24,000km to ensure that your four-wheeled friend is feeling healthy and happy at all times.